Explore the captivating history of Alexander the Great. 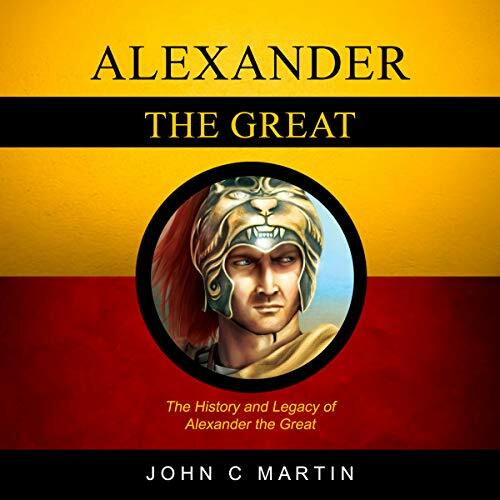 In the first authoritative biography of Alexander the Great written for a general audience in a generation, classicist and historian John C Martin tells the remarkable life of the great conqueror. The celebrated Macedonian king has been one of the most enduring figures in history. At 18, Alexander had conquered mainland Greece, was crowned King of Macedonia at 20, and by 26, he had made himself master of the once mighty Persian Empire. By the time of his death, aged only 33, in 323 BC, he was ruler of the known world and was being worshipped as a god by the Greeks, both at Babylon, where he died, and further west, among the Greek cities of the Asiatic seaboard. Based on meticulous research, the fruit of a lifetime's scholarship, this is an outstanding biography of one of the most remarkable rulers in history. After a short account of Alexander's life before his landing in Asia Minor, the book gives a brief overview of the major stages of his conquest. This background sets the stage for a series of concise thematic chapters that explore the origins and objectives of the conquest; the nature and significance of the resistance it met; the administration, defense and exploitation of the conquered lands; and the varying nature of Alexander's relations with the Macedonians, Greeks, and Persians, etc. If you're looking for a book on Alexander the Great; then this book is for you!